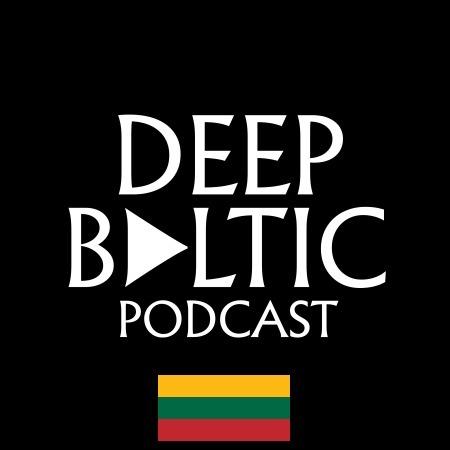 For the second ever Deep Baltic podcast, Will Mawhood is joined in Kaunas, Lithuania’s second city, by Richard Schofield and Žilvinas Rinkšelis for a discussion that covers the country’s Jewish history, the twenty years Kaunas spent as the de facto capital of Lithuania, the city’s interwar modernist heritage, and its upcoming stint as European City of Culture. Richard Schofield is a photographer who has been resident in Lithuania for over a decade; among other activities, he runs the International Centre for Litvak Photography, which works to preserve records of the country’s Jewish history. Žilvinas Rinkšelis is a historian and kaunietis (Kaunas native), and is closely involved in Kaunas 2022. Richard spoke about his recent project, Back to Shul, for which he spent two weeks travelling through Lithuania, recording the state of the country’s many former synagogues and Jewish prayer houses. The resulting photo essay can be seen on Deep Baltic here. Licensed under the Creative Commons Attribution-Share Alike 2.5 Generic license. Author – M.K. We also spoke about the history of the Litvaks (Lithuanian Jews), and how “Lithuania” in a Jewish context often has a rather different meaning, corresponding roughly to the borders of the former Grand Duchy of Lithuania. The map above shows the Grand Duchy at the time of its greatest extent, in the 15th century. Richard spoke about his work with the International Centre for Litvak Photography, which you can find out more about at its website or Facebook page, as well as about the 75-year-long piece of music he commissioned, The Kaunas Requiem. With Žilvinas, we discussed Kaunas’s period as temporary capital of Lithuania between 1919 and 1939, at which time, Vilnius was part of Poland. The city expanded enormously during these years, and many modernist and Art Deco buildings were constructed. This article on Deep Baltic by George East gives some further background (along with nice black-and-white photos). For additional detail and pictures, this post on the Adrian Yekkes blog is also recommended. Finally, we talked about Kaunas recently being awarded the title of European City of Culture for 2022, and what the city is doing to prepare for this. You can find out more about the project – including “the beast of Kaunas”, the memory office, and a number of other subjects discussed on the podcast – at the official website of Kaunas 2022. This is the second instalment of the Deep Baltic podcast – you can still listen to our first one, which was recorded in Tallinn and focused principally on Estonian identity. Please do join us next time, when we’ll be in Latvia.